One of the many challenges of managing rental properties is knowing when to sell your old rental properties. Periodically assessing whether to buy, hold, or sell property is crucial for maximizing your cash flow and avoiding loss. However, when should you put up rental properties for sale? Furthermore, how can you sell your old rental property quickly and for the best possible profit? The choice to sell your rental properties should not be made lightly. Turning a rental property takes time and effort. Additionally, once the sale is complete, you will lose access to the revenue the property once generated—though you should earn a tidy sum from the sale, any further revenue is lost. So, it’s important to choose the right time to sell your old rental property. If Property Values and Median Incomes Are Likely to Drop. One suggestion from Forbes for when to sell rental properties is “if you own a property in a town whose biggest industry is dying or in a place where a major employer has announced plans to relocate its headquarters.” In situations such as these, where property values and median incomes will most likely decrease, the revenue generated by the property will also drop. So, unloading the property to reinvest the capital in a more profitable area makes sense for a rental property manager. After the Property’s Depreciation Tax Benefit Runs Out. A rental property may be eligible for a depreciation tax credit for many years after its initial purchase. This tax credit’s value and duration may change depending on the value of the property and the depreciation method (straight-line or accelerated), but once it runs out, you lose the tax benefit. So, selling rental property after the depreciation benefit ends may make financial sense—though you may not want to make the sale decision based solely on depreciation. In fact, it may be better to speak with a property or business tax lawyer to discuss your options for selling one of your rental properties after depreciation kicks in. To Generate Funds for an Emergency. Rental property managers may have any number of additional expenses to contend with—whether personal or professional. There may be a time when it becomes necessary to sell one or more rental properties to cover another expense. However, there is a distinct disadvantage when selling to generate funds for an emergency—it puts you under a time crunch to sell. This may mean being willing to take a lower sale amount than the property’s actual cash value. To “Trade Up” Using Like-Kind Exchange. Sometimes, rental property managers may hit a plateau with the value of the properties they manage and need an opportunity to grow their revenue. If a more valuable property hits the market, you may find it worthwhile to sell an older, less valuable property and trade up to the new property. By doing this as a property manager in a business, you may be eligible for a “like-kind exchange” benefit, which helps you mitigate the capital gains tax on the new property since you’re exchanging one business asset for another one. However, there are some restrictions on this benefit (such as needing to make the purchase within 180 days of the sale), so be sure to consult a tax lawyer when preparing to leverage the like-kind exchange benefit. In general, situations where you need to sell a property, such as if values are about to drop or you desperately need the funds for other expenses, are going to put you at a disadvantage when negotiating the sale price. So, it may be advantageous to sell sooner and trade up rather than holding onto a property that has lost most of its value. Keeping an eye on market conditions for the area (or areas) where your rental properties are located can also be beneficial for making educated guesses about the likely future value of those properties. 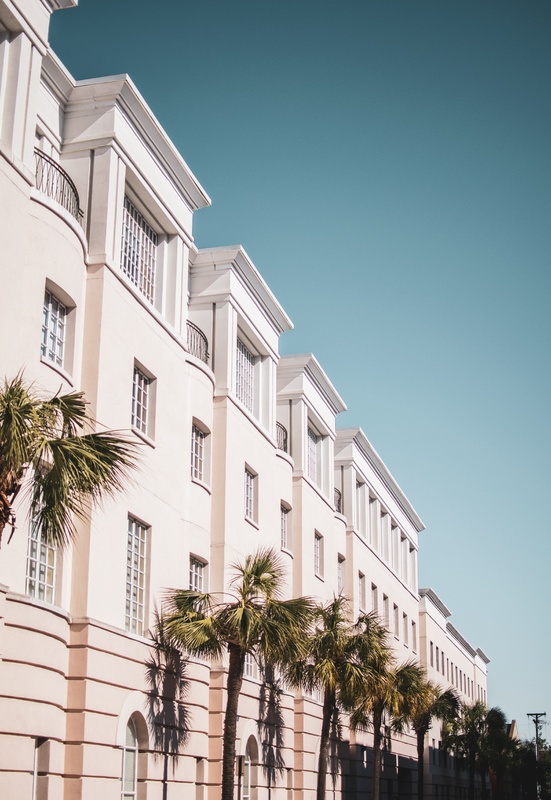 For example, if a major new employer is moving into the area, it might be a good idea to hold on to your rental properties rather than selling them—or to trade out those properties for ones located closer to the new employer’s location. When turning a rental property, it’s important to prepare that property thoroughly for the sale first. This includes both repairing the property to ensure it is up to code and marketing the property to the right audience. It’s also important to consider what the local market can support. This often involves taking a look at what other rental properties similar to yours are going for, how long those properties have remained on the market, and the comparative value of all properties in the area. This can help you create a clear picture of how much you can expect your rental property to sell for, as well as how long you can expect the sale to take. If you’re under pressure to sell sooner rather than later, you may need to market your property at a lower valuation than the average for the market. Perform a Detailed Property Inspection. Before you can fix a code issue that might inhibit the rental property’s sale value, it is necessary to know the issue exists in the first place. Conducting a thorough property inspection can uncover issues that you may not have known about so you can fix them and avoid obstructions later in the sale process. Use Vetted Property Maintenance Technicians. Some property repairs can be completed without the need for special skills. However, many maintenance tasks require a licensed and experienced technician to meet code requirements. Using vetted and licensed property maintenance techs for these tasks is a must. Otherwise, there is a significant risk of property damage, harm to renters and liability may arise during a sale for work done without the proper permits. Here, using an end-to-end property maintenance solution such as Homee On Demand can help. With Homee On Demand, property managers can take some photos of the issue, select the type of specialist they need, and get a licensed, background-checked technician (aka a “Homee”) on the property in as little as 30 minutes. Getting the property fixed up prior to marketing can reduce headaches and smooth the sale process by preemptively fixing potential code violations. However, it takes more than a few simple repairs to turn a rental property. Turning a rental property also requires being able to market it to the right audience so it gets snapped up quickly. Matching the Rental Property to Your Target Market. Are you selling a commercial or residential property? How big is the property you’re selling? If a residential property, is the property single- or multi-family? If commercial, what kind of business is the property optimized for? These considerations should all impact how you market the property and to whom. For example, a single-family home might be marketable to a person looking to buy a home as well as other property managers, while a multi-family unit would most likely be suitable just for other property managers. Leverage Social Media as Well as Real Estate Listings. Real estate listing sites, such as Trulia, Zillow, or Realtor.com, can be invaluable tools for letting potential buyers know that you’re selling rental property. However, it can pay to leverage other social media channels, such as Twitter, LinkedIn, or Facebook to help spread the word to other property managers and generate interest. Unless you decide to launch a paid ad campaign on one of these sites, the only real cost is the time it takes to write the post and upload some pictures. Take Lots of Pictures to Show What the Rental Property Looks Like. As the saying goes: “A picture is worth 1,000 words.” When marketing a rental property, uploading a lot of pictures helps to highlight the quality of the property and proves how well it has been maintained. People are more willing to trust that a property is in good condition if it has been thoroughly photographed. Of course, this tactic hinges on the property being in excellent condition. To get nice photos of a property and help increase its sale value, it is important to perform thorough property maintenance/repair before taking those pictures. If the property is already in good condition, this may mean simply using a few handymen to touch up the property before taking photos. If the property is in rough condition, though, you may need to hire more specialized maintenance technicians to bring the building up to code. Need help fixing up your rental properties before you sell them? Learn more about how Homee On Demand works at the link below or contact us directly.